Exclusive Extra 20% Off On Year End Sale! Restrictions This limited time offer is redeemable online only and cannot be combined with any other coupons, discounts, or promotions. Offer is not valid on previous purchases. Gift Cards/Certificates purchased from this Merchant do not apply unless stated otherwise. Savings will only be delivered when you purchase through the link provided on this page. If you visit this Merchant through other websites prior to your purchase, you will not receive the program savings. Tax and shipping costs do not apply unless stated otherwise. Offer may change without notice. Other exclusions may apply. Hurry! This offer expires 12/31/09. 50% off--Smashbox Eye Wish palette Just for Lucky readers: amazing 24-hour discounts of 40 to 50 percent off. Blink and you'll miss it! 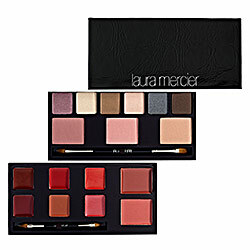 Smashbox Eye Wish palette Today only, save 50 percent on this limited-edition eye makeup kit: 12 shadows, four liners, a lid primer, and a handy how-to book with step-by-step instructions for the perfect party looks--all packaged in a pretty pink case. Order before 3 a.m. ET on December 23 and choose overnight shipping to receive by December 24. Regular price: $44. Lucky Breaks price: $22. How to get it: Log on to smashbox.com and enter "luckydaily1" at checkout. Offer is valid from 8:00 a.m. ET on December 22, 2009, to 7:59 a.m. ET on December 23, 2009, or while supplies last. Discounts and prices do not include shipping or taxes, unless otherwise noted. Need help? E-mail us at luckybreaks@luckymag.com. 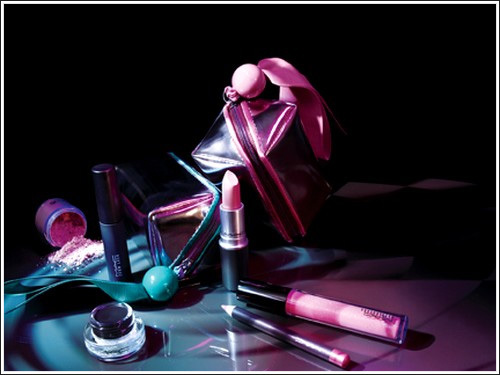 What it does: Laura Mercier Colour Wardrobe is the perfect accessory this holiday season! Along with expert tools for infinite color combinations that take you from day to night. OMG! I am so wanting this right now. 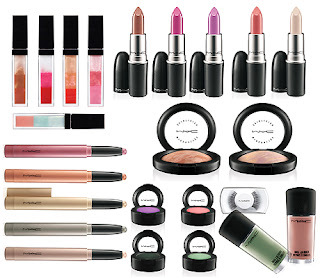 This beautiful collection of colors from Laura Mercier is the first item on my want list for Christmas. It is a bit pricey but if you were to purchase the colors separately it would cost you a whole lot more. So you know that this is an unbelievable deal for those gals on the go! 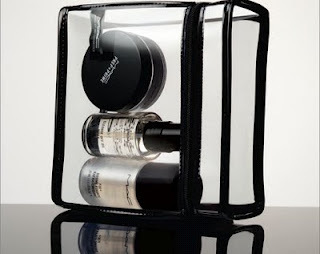 There is no need to take the whole makeup case when you can just grab this baby and head on out the door. It is so convenient & compact that it is really a no-brainer when trying to decide whether or not to purchase this. Plus it makes for an AWESOME Christmas gift for those gals who are hard to buy for too! The much-anticipated M·A·C assortment of perfect holiday delights are back - full of miniature mirth, they're up to something! 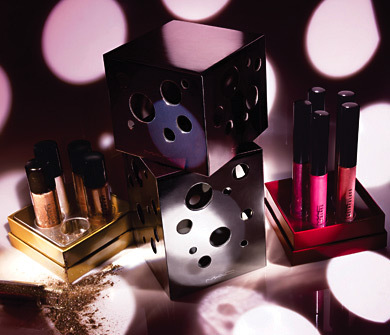 Most-wanted looks in Lipglass, Lustreglass, pigments and glitter, in six glam-ly giftable versions. 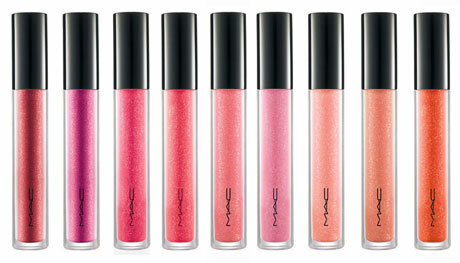 Every year at about this time MAC comes out with some amazing Holiday products and this year is no different. If you have ever wanted to try MAC pigments but was hesitant because of their size then these are the perfect items to add to your wish list. They are small enough so that you don't feel overwhelmed by all the product but yet big enough to give you a chance to try them! Plus they make great stocking stuffers too! Oh, and don't forget about the lip sets! They make a great stocking stuffer as well! This gentle non-sensitive, rich moisturizing lotion can be used on the face and body and is free of fragrance and colour. NEW! A glowing, satin-finish foundation with sheer and build-able coverage. Replete with skincare benefits and the NARS Complexion Brightening Formula, skin is hydrated, more luminous, softer and smoother. Used daily, Sheer Glow Foundation improves skin brightness, radiance and texture. For normal to dry skin types. Sephora is currently offering their online Friends and Family 20% off promotion from October 19th – November 2nd (use code FF2009 at checkout). So what better time to test out a few of the products that I have been lemming over the past couple of months. 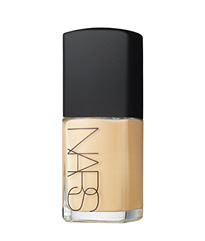 Of those products I knew that I really wanted to try the Nars Sheer Glow foundation because just about everyone I know is raving over this foundation. From its dewy glow to the light to medium build-able coverage it offers what's not to like. Well that is what I wanted to know… So over the next couple of weeks I will be testing this product and at the end of the three weeks I will give you my review. Be sure to bookmark this blog and check back to see how this foundation holds up! When M∙A∙C meets the lore and legend that is Lilly Pulitzer, you get a fabulous and funky fun new chapter: a bit of Mar-a-Lago, some well-to-do winky-wink, and a dash of retro-modern pop culture mayhem in prints and colours that make it hip to be in permanent happy land! A collaboration that feels like the best tongue-in-chic resort retort, with all the wonderful prints and Key West colour combinations Lilly has done so beautifully since, well, forever! Fly down to South Florida, with M∙A∙C in Lillyland! All Ages, All Races, All Sexes is our credo. Now M∙A∙C takes the “One World” idea further than ever, with a multi-culti colour story intent on a universal focus – spectacularly shaded and shaped brows for all, because beautiful people come in colours! Miraculously matched to the individual, Impeccable Brow Pencil is the ultimate artist’s tool to fill, lengthen and shape, with a firm tip that sharpens application for high-performance precision. Penultimate Brow Marker, in one shade suits all, has a liquefied glide adept at the all-important arch. 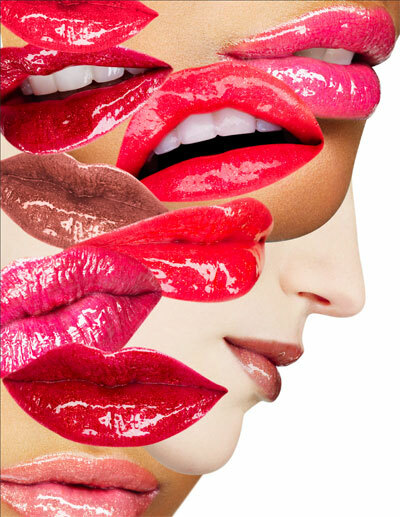 But that’s not all: Lipstick, Lipglass, Eye Shadow and Nail Lacquer shade extensions speak your language, a match for every international skin tone. 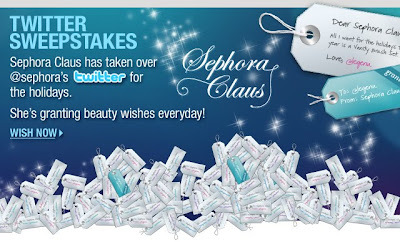 Sephora is currently offering 20% off on every purchase when you use promotion code FF2009 at checkout. This promotion starts October 19th and will end on November 2nd so you have approximately two weeks to squeeze in as much shopping as your paycheck will allow! While you are shopping you might want to consider stocking up on some of your essentials and maybe even give some new products a try. I know I have had my eye on a couple of foundations & skincare products I have been dying to try but was unable to justify purchasing them due to the price. So start making those lists ladies and be sure to leave a comment below telling me what "must have" beauty items you plan on purchasing! 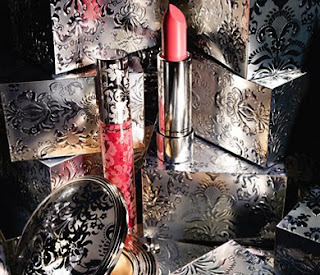 Decadent, luxurious...liaisons get even more dangerous with formulas for lips and face, and the haute-style clutch of this baroque-inspired collection. Sate your taste for something modern, yet ornate. OMG! Can you say Gorgeous! 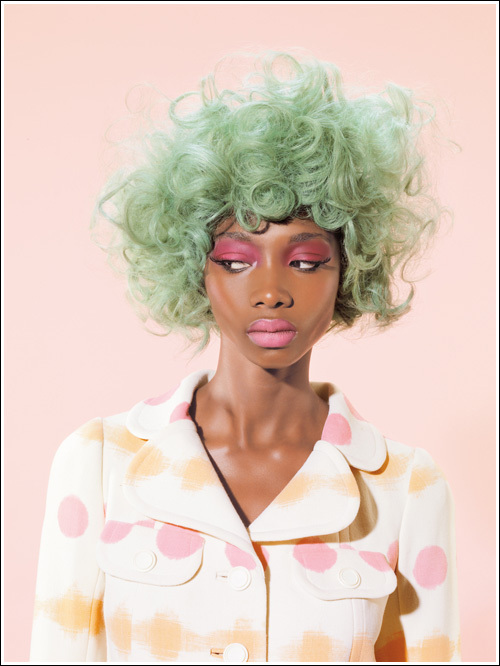 I am so in LOVE with this collection and I can't wait for it to debut! Barrel silhouette cosmetic bag in metallic gunmetal fabric with dark grey trim and a charm zipper pull. Nordstrom and the Bay only. Designed by kids from tanzania and cambodia for kids living affect by HIV/AIDS everywhere. 100% of the proceeds go to pediatric HIV/AIDS organizations. Every couturier has forever had a fascination with the mysterious and alluring qualities of Lace. From Evita to Marlene Dietrich to some of the best-dressed of our red-carpet modern screen stars, it's a long love affair. This salon-intimate collection is all about a dramatic, intense, smoky eye, with shadows that flash frosty grey to deep blue. Kohl Power is brought back for a limited time in favorite shades plus a new blackened marine blue. And naturally,44 Lash adds the depth and desire. 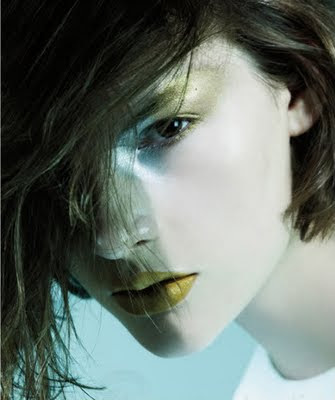 Lips stay pleasingly pale and Nail Lacquer in Light Affair adds a hint of danger. If ever there was a moment to do away with the winter doldrums and add some instant intrigue, this is it. 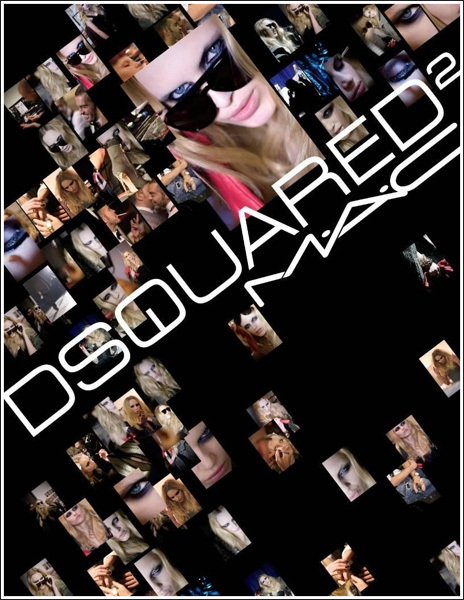 Available in North America on December 26, 2009 at all MAC locations and maccosmetics.com. Available internationally in January 2010. 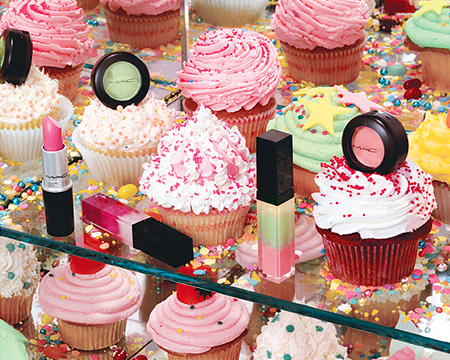 The other day I had a chance to check out these sets at my local MAC counter and I have to say they are so adorable! How cute are these sets!!! It has everything you need and they are small enough to take with you anywhere! A definite must buy! Eight precociously pretty new holiday kits, presented and packaged with bubbly optimism, sophisticated and amusing as a New Yorker cartoon. Each a world of wonder, to collect and give - but only to the most delightful of the deserving. Magic, Mirth and Mischief! is what M·A·C Holiday '09 is made of! All the sparkle, shine and seduction you need to dazzle and delight, with holiday colour to bring out the mischievous minx in each and every one of you. Have a ball! These are Sculpt and Shape powders are permanent pro products, however the pro versions provide the Sculpt Powders and Shape Powders seperately. The duo configuration is LE only with collection. Clear - A colour-free gel formulated for full-on shine, M·A·C Gloss adds polish, shine and highlights to bare or made-up skin. May be used on the face or any part of the body where shine is desired. Flashing flecks of lustrous glimmer give lips a new kind of high-beam shine, while the balm-effect of the pillow-top comfort creme keeps the supple going and going. For dazzle with absolute comfort, it's better than brilliant! 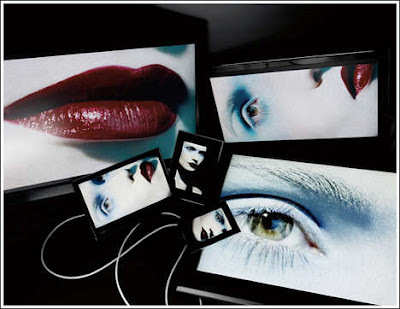 There are black lips, dark smoky eyes and plenty of Goth looks to be created with this collection. 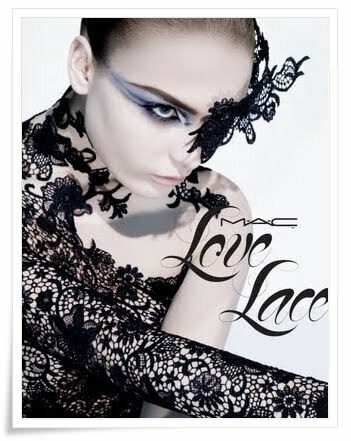 With hardly a hint of color MAC gives us the Style Black collection allowing us to unleash our innermost fantasies of darkness. Now I must admit when I first saw this collection I was not really impressed with all the dark looks and such. However, gradually this collection has won me over. What really sold me were the CCBs (cream color bases). Typically when you layer an eye shadow over top of a CCB it takes the color to a whole new level. So you can imagine what using a darker CCB will do for the shadow. 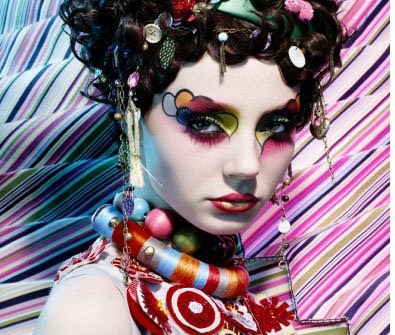 It gives it an unbelievable burst of color and adds plenty of definition to the eye. So you better believe I snapped up both of them – black and bat black. Cameras everywhere, media madness, instant images flashed around the world in seconds… You ARE being photographed! Better be optimum-optic, high frequency fabulous, these are modern times! The In High Def collection is makeup designed for the new-technology demands of the professional world. The sharp tone, colour and picture clarity of Hi-def TV. For girls and boys who want to look god no matter who’s looking. Face and Body Foundation formulated for flawless replication; at last, you can achieve the perfection expected on screen at all times. 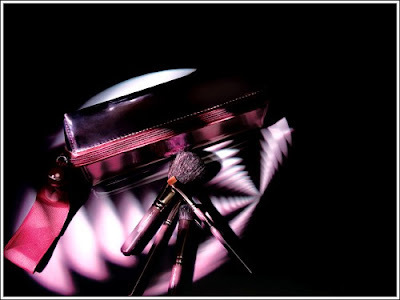 A complementary collection of Lipstick, Lipglass, Mineralize Skinfinish/Natural applied with the 187 Du Fibre and 188 Small Du Fibre Face Brushes fool the eye, and the camera. The very best in the new look of Hi-Def, made easy. Cheeky, uppity, and ahead of the game, Upstarts live in their own perfect little worlds! Each contains the magic miniature matrix required for gone-in-sixty-seconds travel action, or try-me-you'll-like-me (then you can't live without me) experimentation. Backstage and Front Row, Nail Trend has arrived! More than a colour statement, an of-the-moment approach that dazzles with innovation and style. How to do it? Enter Jin Soon, much-sought-after nail guru who has worked the shows and with the best celebs, collaborating with us to create six nail colours exclusively for MAC. Fashion addicts won't be able to survive without them this Fall. 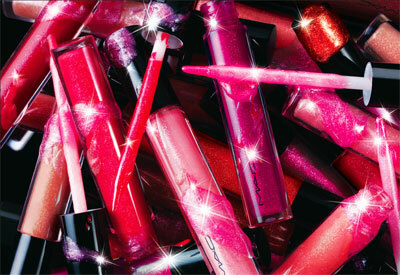 MAC's Under Lacquer Base Coat and Over Lacquer Top Coat will also be repromoted with this collection. I will definitely be picking these up from my local MAC counter. Let me know if you are getting any and what colors! M·A·C Starflash Eye Shadow: A special return appearance of this incredibly intense super pearly, astro-creamy, rich and frosted shadow that makes all eyes a super-nova...in 12 fabulous limited-life shades! Love That Look? Everybody does! An Artist’s signature is the finishing touch, the decisive moment when colour, composition, and creativity come together in equal measure. Colour Craft is all about making it your own…perfection as The Muse intended. This unprecedented assortment of Mineralize Skinfinish shades work it out beautifully, with three new mosaic combinations: Triple Fusion, Smooth Merge, Warm Blend; or simply singular one-shade Sunny By Nature, just Porcelain Pink, or rich Cheeky Bronze. 131 Duo Fibre Brush with built-in short natural fibres AND longer optic fibres all-in-one comes together as the ultimate Artist’s tool for sleek shading and haute highlighting. Lipglass: (All LE) $14.00USD These have a new marbled texture. They contain three colors that mix into one. Mineralize Skinfinish: (All LE) - $27.00USD Three of these are the regular MSF design and three are "striped" with three different complimentary colours. Mineralize Eyeshadows: (All LE) - $19.00USD These are a "pinwheel" design that incorporate 4 shades into one pan. Just a few things that I picked up from my local Sephora. I always love a good shopping trip! I finally got around to uploading some of my shopping spree / haul videos. As you can tell from the title, this video features some of the items that I picked up from the MAC Style Warriors collection. Okay girls I have to make this really quick cause I'm at work and this is so not work related! LOL On the regular MAC website they have started selling the Pro blush & eyeshadow refills in the pan, the empty eyeshadow quads, and the empty blush & eyeshadow palettes as well! How AWESOME is that!!! Yesterday I posted a quick vid on my YouTube channel proclaiming this glorious news and I wanted to post it on here for you too. So what are you waiting for go and spread the good news. OMG!!! How adorable are these MAC promo pics! I bet the packaging is going to be amazing for these products. I can't wait!